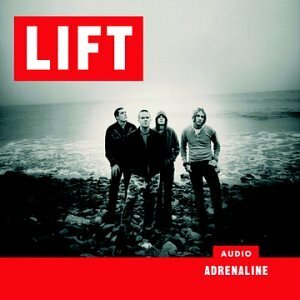 Audio Adrenaline – Lift | NoCoda. What It Sounds Like: Audio Adrenaline has such a classic sound to me, it seems like such a ridiculous question to even attempt to answer. “Oh you’re never heard of AudioA? Well, they kind of sound like….”. It’s like trying to describe what heat feels like to someone who has never felt the warmth of the sun. It’s pop rock. It’s alternative. It’s catchy. They know when to slow it down and when to turn it up to eleven. It’s just good, quality, and proven music. Lift was a massive smash for Audio Adrenaline, with the first half playing out like it was taken off their greatest hits record. The second half is lesser known to the common fan, but the quality still resounds. Right off the bat, let’s address the song that is known far and wide (at least in my book!) as one of the best redemption songs ever written – Ocean Floor. It’s a normal ballad that turns into a power ballad. It tugs at your heartstrings, makes you raise your face to the sky, and thank God that you don’t have to do this all on your own. Redemption. Forgiveness. Starting fresh from right where you are – it’s freaking wonderful. As much as I love so many lyrics, and as much as I would like to post full songs on so many of these reviews, Ocean Floor deserves to be set apart and repeated in all its glory. It’s an inspired masterpiece. Let your past be your past, and start fresh right where you are. How can you argue with the power and truth that is wrapped up in those words? The illustration of the ocean floor is simply haunting. Past mistakes? On the ocean floor. Gone, forgotten, and wiped away. Sunrise, sunset. Awesome. Lift actually has more toned-down numbers than rockers (at least, in contrast to their previous albums), which makes it an interesting renegade of a record when trying to appeal to the rock ‘n’ roll festival crowds. Speak To Me and Glory hit us back to back, right in the center of the record, but they’re thankfully inspired, worshipful songs that hit home with someone who wants to draw near to their Creator. But still – this is Audio Adrenaline – so they thankfully don’t slow it down too much and give us a nice variety of upbeat tracks to round everything out. You Still Amaze Me and I’m Alive kick the record off in sweet alternative rock fashion, with a nice mix of grit from the Some Kind Of Zombie days mashed up with the pop flavor of the Underdog era. We’d be amiss not to mention Rejoice, which is by far and wide the most teeny-boppin’, middle school summer camp song that I’ve ever heard Mark sing. You know what? It’s catchy as all get out, and I love it. If you’re too cool for this, than you’re too cool for me. This Is Everything is mid-tempo beauty. T-Bone comes in a slays it on an out-of-left-field bonus track called Lonely Man, which finds Audio Adrenaline channeling their inner grunge mentality and rocking out like they’re in a jam-packed, beer slinging, shirtless, smelly dude crowd surfing bar/rat nest at 1 AM. This is a winner of a record that hits in all the various places that it needs to hit. It’s not a complete ten, however. Lift and Tremble, while sill being good songs, written from the heart, have never measured up to the rest of the record in my opinion. That being said, it certainly can’t be cited for any major missteps. It’s essential to your collection.